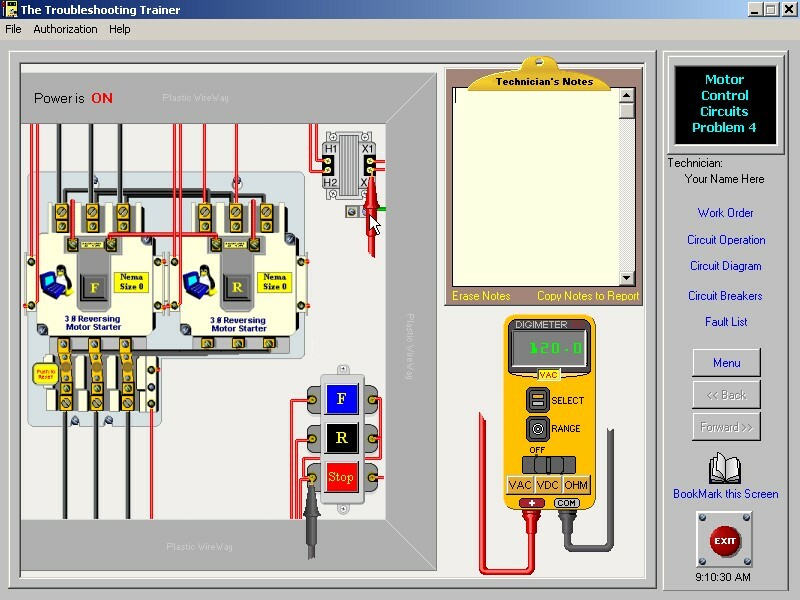 Train and test on troubleshooting electrical and the PLC. This electrical troubleshooting training course uses electrical troubleshooting training simulator train and test troubleshooting electrical. 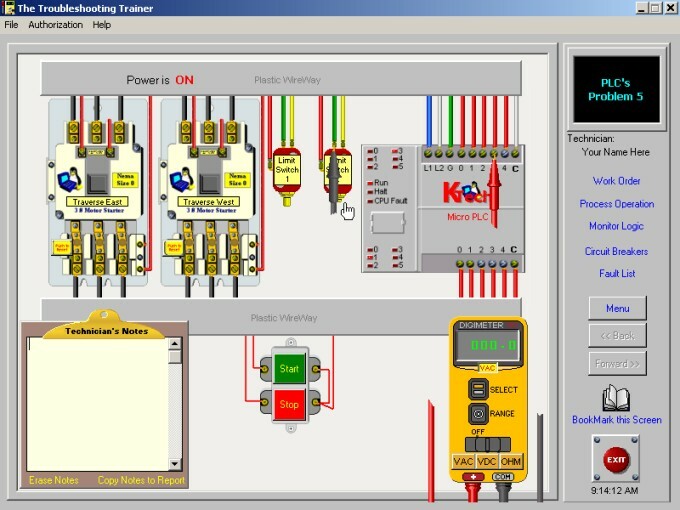 Also includes plc troubleshooting training. 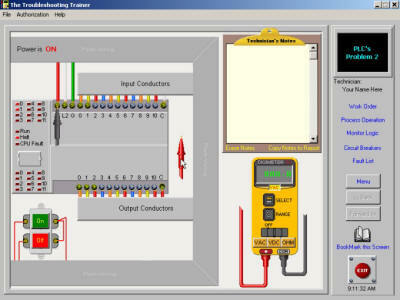 The TSTrainer is a multi-media computer-based training module design to instruct the user in proper control trouble shooting techniques. 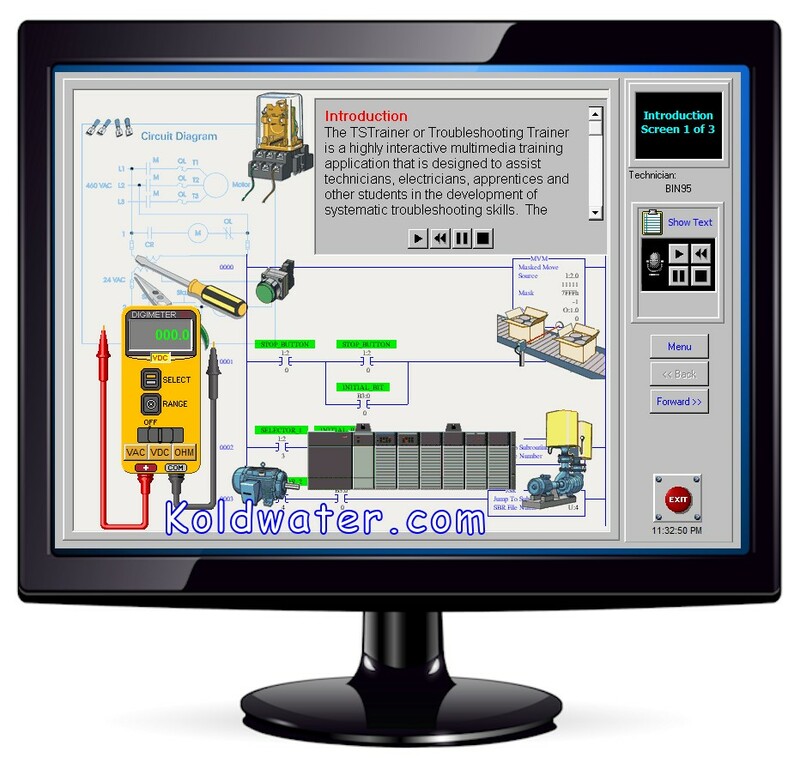 Drill and practice is used to reinforce skills. The realistic control systems include both electro-mechanical motor control as well as PLC control. A virtual meter is used to diagnose the faults within the systems. 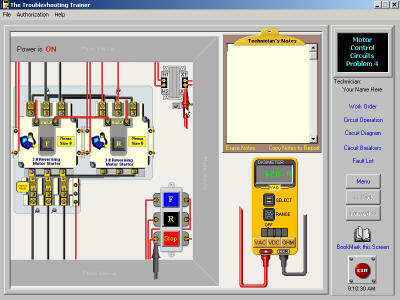 Below are a few screen shots of this exciting training application! 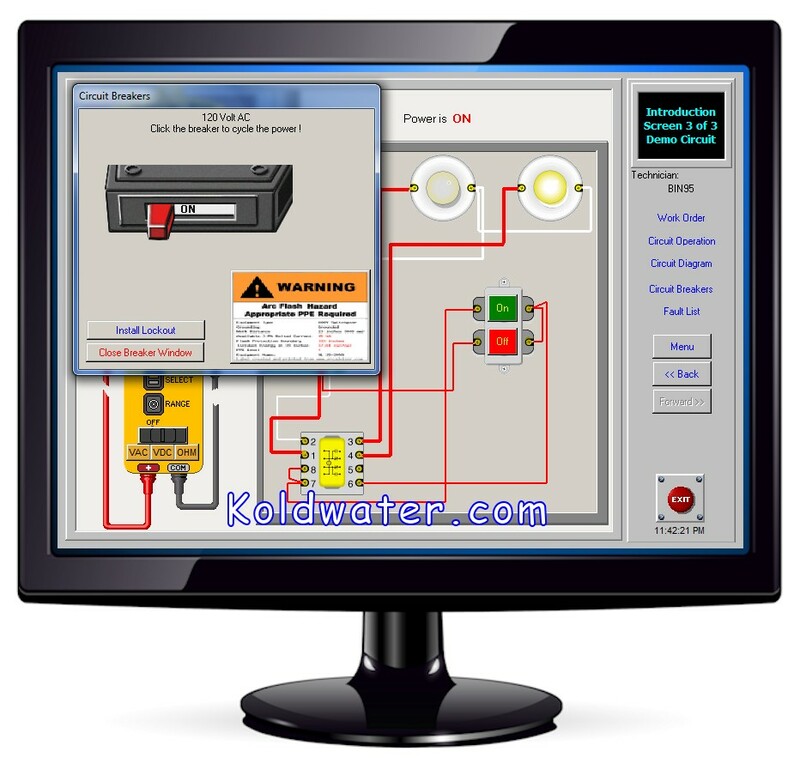 This electrical troubleshooting training simulator software includes the following units of instruction. Screen shot of one of the 3 Basic Control Circuits Electrical Troubleshooting Simulations. 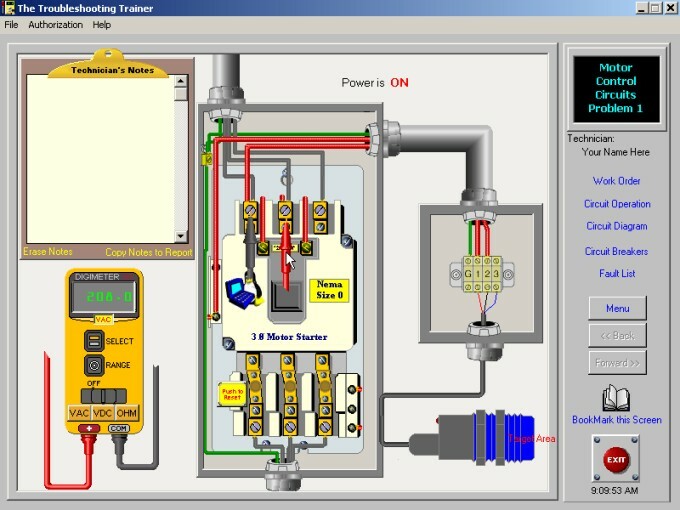 Screen shot of one of the 5 Motor Control Electrical Troubleshooting Simulations. Another screen shot of one of the 5 Motor Control Electrical Troubleshooting Simulations. Screen shot of one of the 8 PLC Control Troubleshooting Simulations. 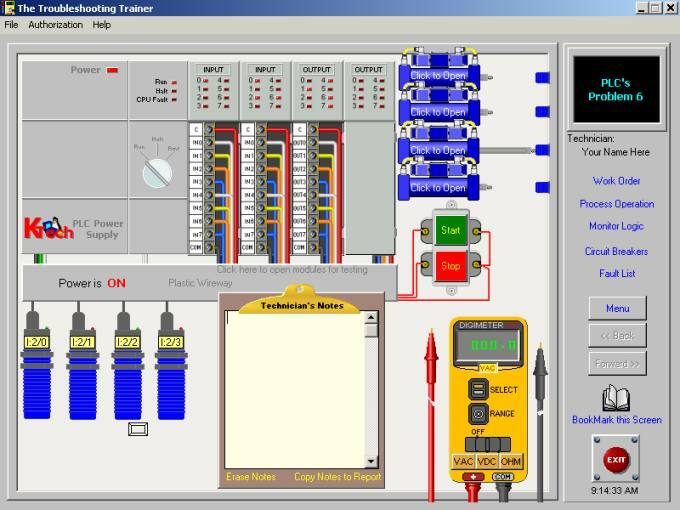 Another screen shot of one of the 8 PLC Control Troubleshooting Simulations. One more screen shot of one of the 8 PLC Control Troubleshooting Simulations. 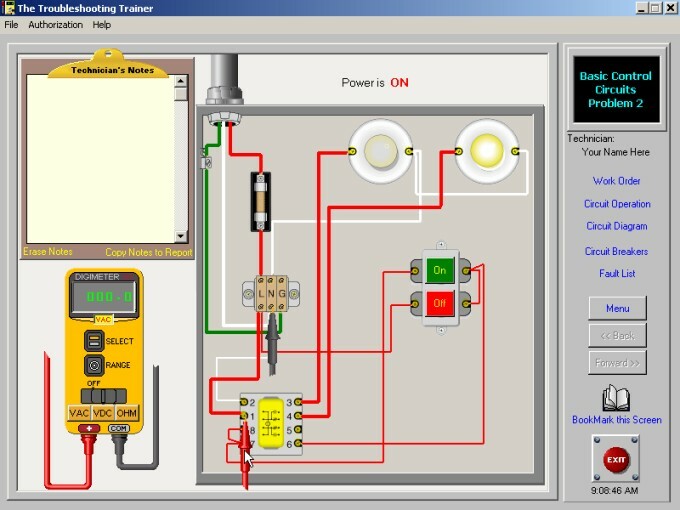 This basic electrical troubleshooting training simulation is price so low, not only affordable for schools, but for the individual too!